© YA-WEN CHANG. All rights reserved. 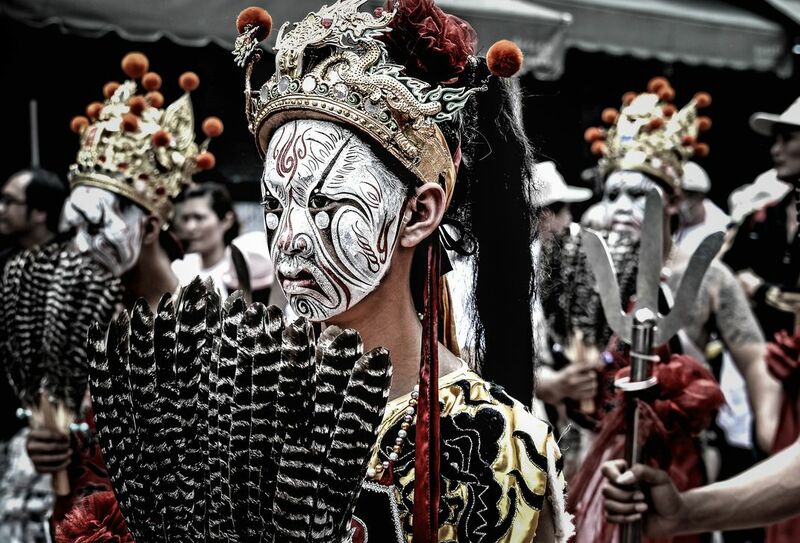 Teenage boys dressed up as the eight generals to dance Beigang Mazu Pilgrimage. Every year from late March to early April, the island is amid Mazu mania; cities and temples arrange processions offering free food and nonstop performances to celebrate the birth of the mother goddess. Amid the festivities and excitement, I saw this boy with intense solemnity waiting in the long queue of performers, isolating himself from the crowds of hubbub before presenting in front of the goddess.